The facility we operate is a 250,000 sq ft AISC certified shop that is one of the largest, most modern, and highest capacity shops on the West Coast. We service commercial and industrial projects throughout Western Canada, the Pacific Northwest, California and the Intermountain Region. With a very strong dependable work force we have the capacity and capabilities to meet your project needs. 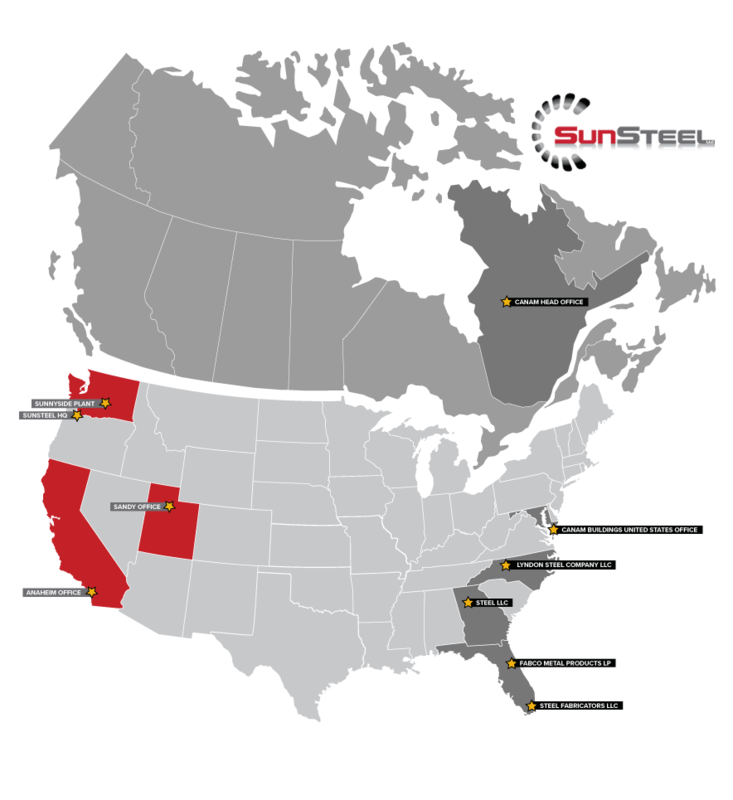 SunSteel can offer turnkey solutions to include joist/deck supply, miscellaneous metals, and installation. With our combined operating strength of four companies, which is operated by FabSouth, SunSteel is extremely well positioned to serve any fabrication and erection need. We have successfully completed steel fabrication projects throughout the United States and our production facilities are well positioned relative to the major U.S. steel mills. This allows us to be highly competitive throughout our footprint. Allow us to help fulfill your jobsite needs with accurate and quality solutions.